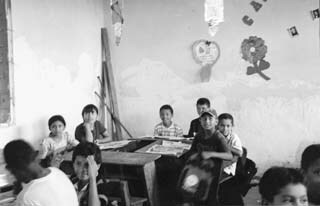 In 1992, the Organization of American States (OAS) initiated a Natural Hazard Vulnerability Reduction Program for the Education Sector. Historically, the education sector has been marginalized from disaster reduction efforts. However, educational institutions are integral parts of local communities. After a disaster strikes, schools are frequently used as temporary shelters, response coordination centers, and information clearing-houses. The OAS initiative for the sector, launched with the support of the United Nations International Strategy for Disaster Reduction (UNISDR) and the Pan-American Health Organization (PAHO), sowed the seeds of what has now become the Hemispheric Action Plan For Vulnerability Reduction In The Education Sector To Socio-Natural Disasters (EDUPLAN), the objective of which is to change the role of the education sector to turn it into a proactive stakeholder in disaster reduction. Changing the role of the sector makes sense, since schools and universities are the institutions where we prepare our future citizens for an active and productive place in society. But awareness-raising concerning the importance of disaster reduction in the abstract is not the only, or even the main, goalit is our moral duty to reduce risk in our schools, so that our children and teachers can be safe from the devastation often wreaked by earthquakes, hurricanes and floods. Each working area involves strategies for vulnerability reduction within the education sector, and provides guidelines for international, regional, national and even local agencies, organizations and institutions that wish to make a significant contribution to the field. In addition to a Technical Secretariat for General Coordination, based in Peru, EDUPLAN carries out local, national and regional activities with the support of several additional Technical Secretariats. These Technical Secretariats involve a wide variety of agencies, organizations and educators who have volunteered to reduce the vulnerability of the schools they work in. The Technical Secretariats work directly with institutions operating in the community and educational sectors. Their activities are primarily local in scope, but added up they can have an impact at the national, regional and hemispheric levels. Technical Secretariats strive to develop programs, encourage citizen participation, and forge links between education professionalsin both the public and private sectorsand experts in the field of infrastructure. In order to ensure their success, technical and financial support from the OAS, ISDR and other organizations facilitates the execution of projects by maintaining a dialogue with international cooperation and financial institutions, developing hemispheric and regional policies, and hosting strategic action forums. At the same time, the EDUPLAN framework makes it possible for those institutions that are operating as Technical Secretariats to retain their autonomy, since they are part of a network rather than a rigid hierarchical structure. New Technical Secretariats are emerging throughout the hemisphere, within agencies, organizations, and institutions willing to commit their time, staff and (when available) funds to support these mitigation efforts. This shows the value of the EDUPLAN initiative. The goal now is for the Secretariats to combine their experiences, talents and resources to promote special events, focus on specific working areas, and strengthen support networks in their own sub-regions. The role of the Secretariats is one of leadership by example, sharing resources, coordinating their actions, forging links, securing funds, and developing educational and training programs ranging from primary school to the post-graduate level. EDUPLAN is encouraging other institutions of the public and private sectors interested in reducing the vulnerability of the education sector to act as Technical Secretariats. Of special interest are community NGO networks, professional guilds, technical associations and institutions working in the field of development assistance. The participation of additional institutions will establish new partnerships and coalitions, injecting greater synergy into the process. In addition, the full integration of the education sector to disaster reduction should make a substantial contribution to the efforts to create a culture of prevention, since no other sector has the same potential to influence a majority of citizensif not all adults, at least the coming generations. The Nariño University, through the Faculty of Human Sciences and its Geography Program with emphasis in Regional Planning, is currently offering an undergraduate degree in Disaster Prevention and Local Development, aimed at teaching students a number of issues related to disaster management; raising awareness about regional catastrophic problems; developing a culture of prevention, and planning development in the Colombian Department of Nariño. This program features a high level of community participation and commitment to the process needed to meet their current needs. The program is incorporated into daily practices carried out by students within this region, their communities and families, to enable them to gain knowledge through their own experiences, in the context of a given theoretical framework. This also enables them to grow professionally while applying the knowledge acquired on a daily basis. 2.4 Community social and cultural viewpoints about disasters. 2.6 Procedures for community participation in risk management. 5. Prevention, planning and management of areas prone to disasters, in the context of sustainable development. 1. Analysis and assessment of threats, vulnerability and risks. This undergraduate degree has created high expectations. We believe that it will produce the outcomes projected. Torobajo Campus. Pasto, Nariño, Colombia.